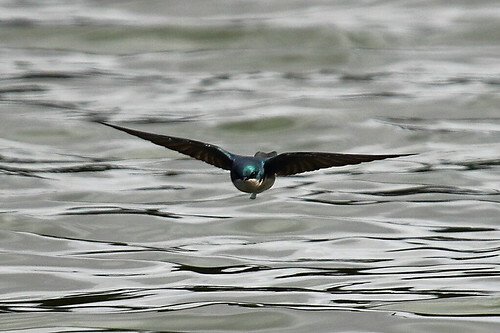 Tree Swallow (Tachycineta bicolor) skimming the waters of the lake in Constitution Gardens, in Washington, DC. 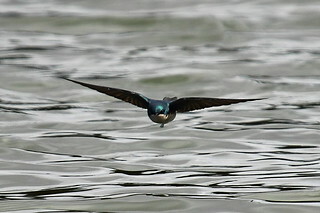 They fly so fast and maneouvre so rapidly, it's very difficult to capture them in flight. Will have to keep practicing.